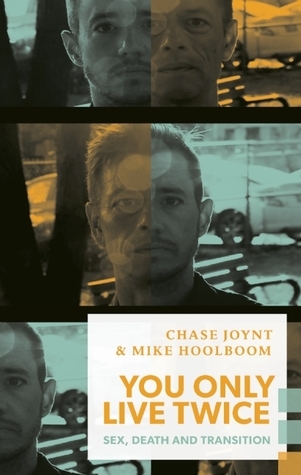 You Only Live Twice is a double-barreled, non-fiction novel co-authored by young trans writer and media artist Chase Joynt and HIV-positive movie artist Mike Hoolboom. Together, and with an assist from the films of Chris Marker, they map out the particularities of what they call “second lives”: Chase’s transition from female-to-male, and Mike’s near-death from AIDS in the 1990s. YOLT is true fiction, part of the auto-genre wave that includes the diary crypts of Knausgaard, the friendship recordings of Sheila Heti, and the theory-fiction of Maggie Nelson and Chris Kraus.